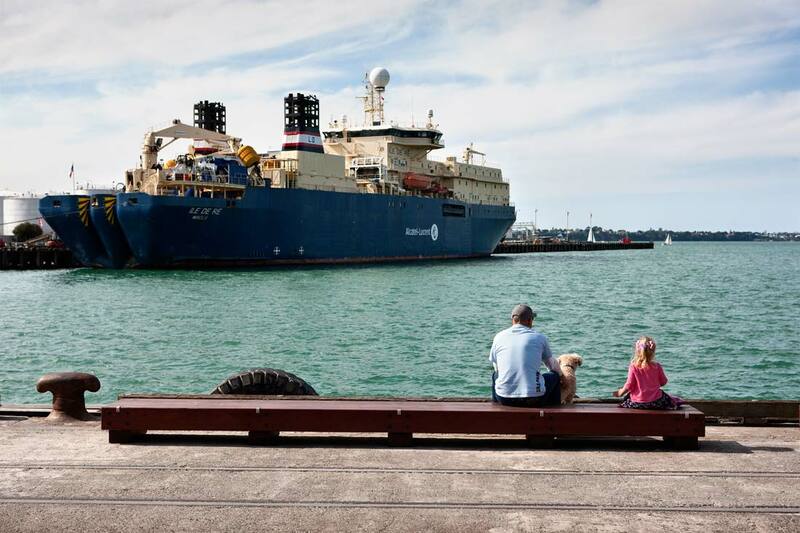 Jellicoe Harbour has an engaging diversity of use, including large industrial container shipping, ferry services and a viable fishing industry. 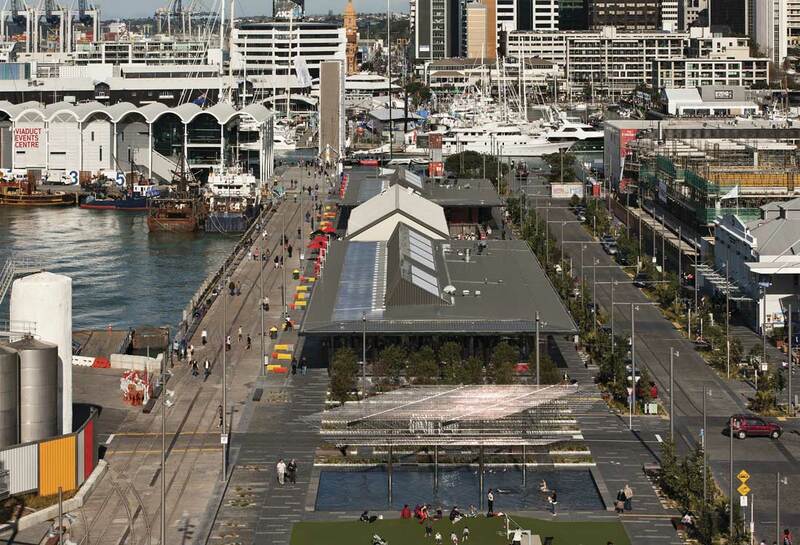 North Wharf Promenade is now a site of negotiation, a pedestrian and cycle promenade from which to witness and experience the coexisting waterfront industry. 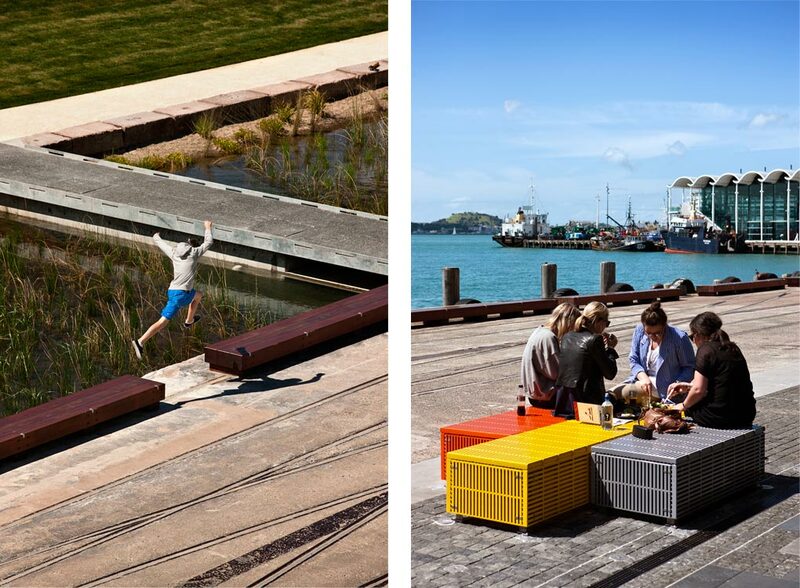 Jellicoe Street runs parallel to the harbour edge and, in contrasts with the exposed, hard harbour condition, establishes a new public realm language for Auckland – promoting a civic presence with an indigenous character, a pedestrian focus and rich, informal planting. 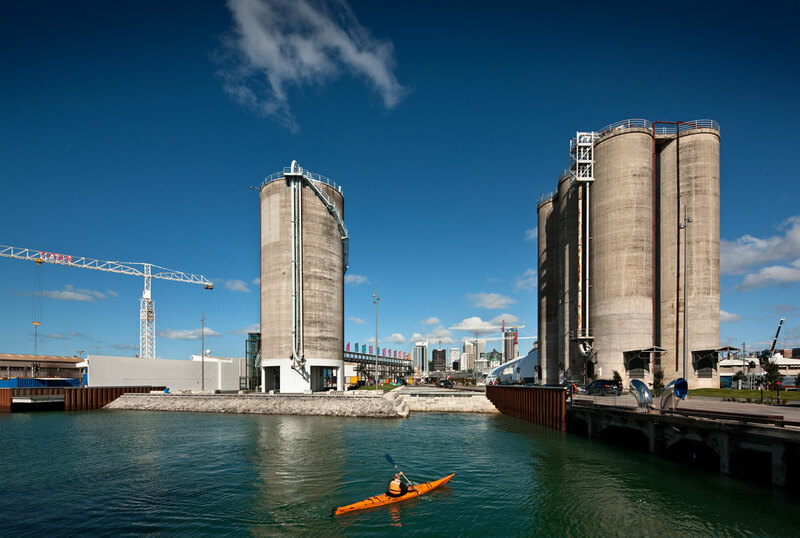 Silo Park is a triangular tract that links Jellicoe Harbour with the marine industries to its west, located on an old cement factory with a retained silo now forming a multi-programmed area focusing on a layered public space that facilitates a range of hybrid uses. 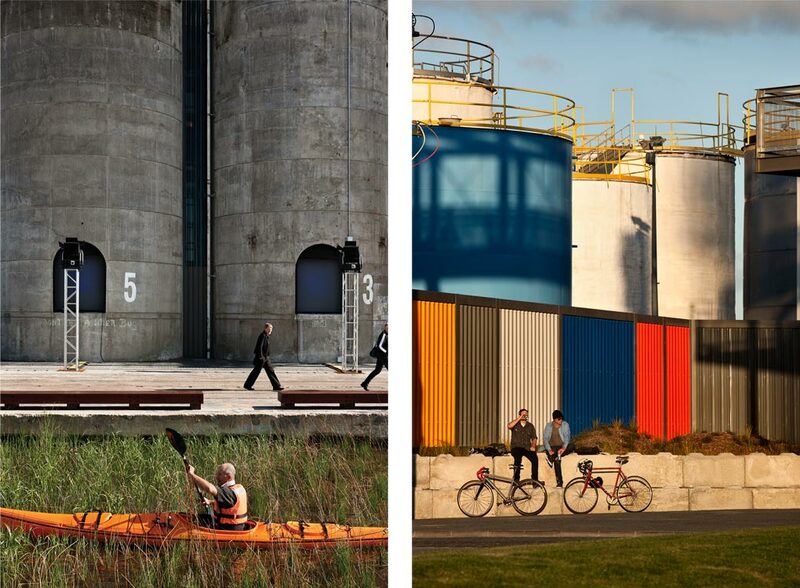 The overlapping programs are oriented via the gantry, an evocative response to the industrial language of the site. 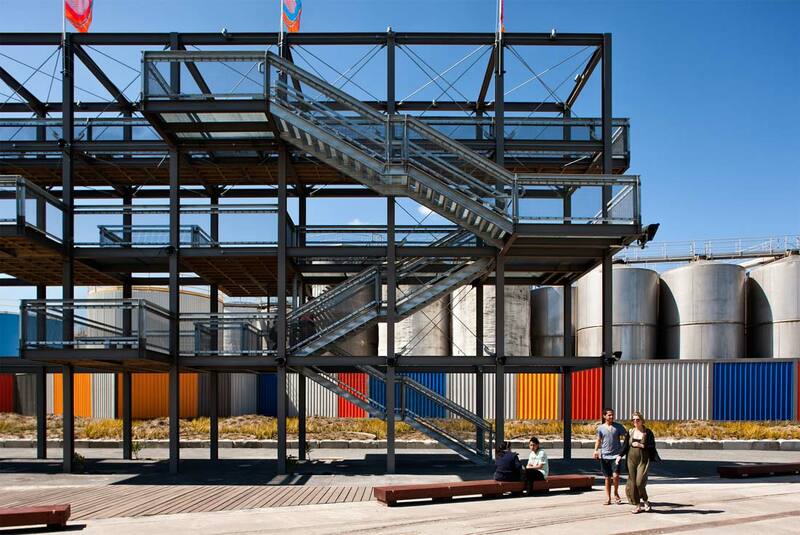 It is designed to be part folly, play structure, lookout, arbour and an event framework. It also forms the infrastructure for a proposed working dock. This facility is proposed to be used for the final ‘fit out’ of large super yachts, a specialist New Zealand industry. 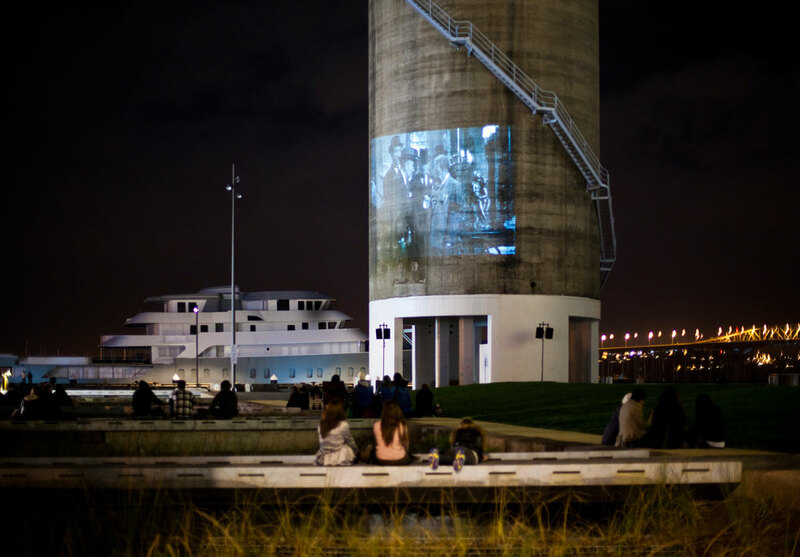 Bringing this industry into public view, and integrating it into the design, reinforces an authentic, although glossy, waterfront experience. 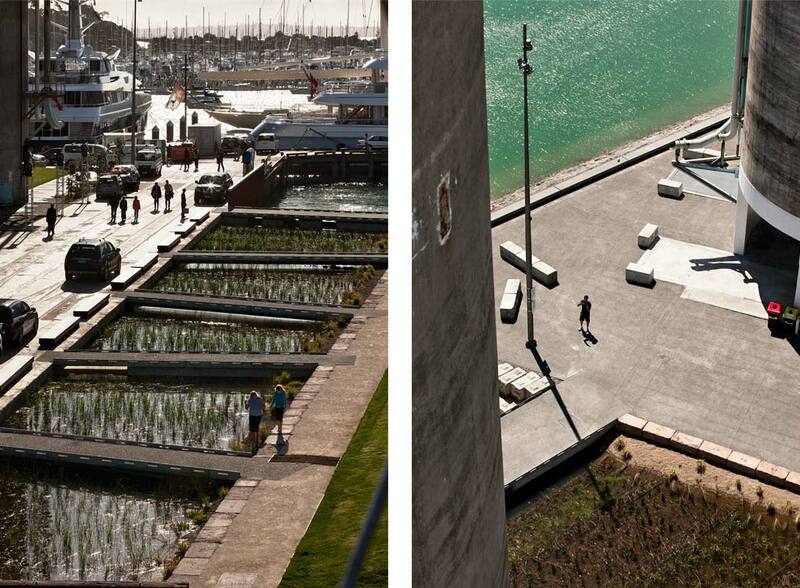 Working waterfronts are constantly in flux – crusty, practical, muscular and dissolving – with temporal qualities that engage all of our senses. Yet, contemporary waterfront redevelopments are often characterised by the removal of the very qualities that attract us to these places. 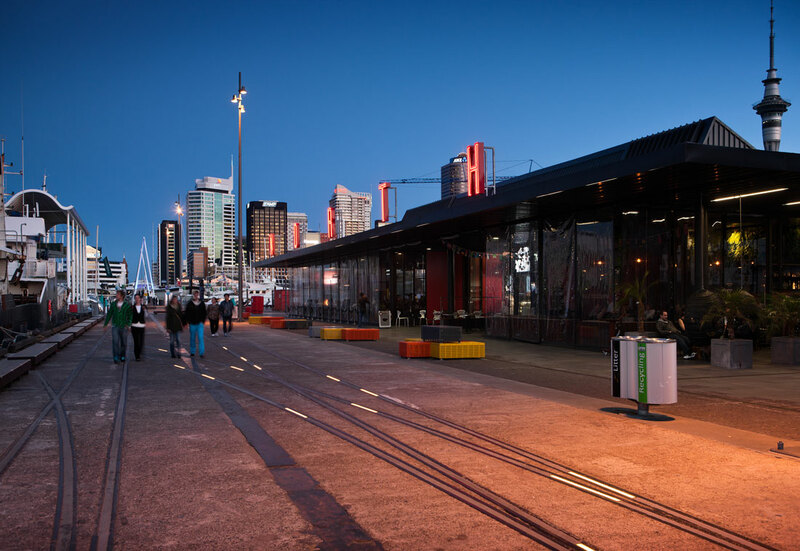 In Auckland’s waterfront, Jellicoe Harbour, Jellicoe Street, Silo Park and North Wharf Promenade redevelopment, these conventions are challenged in a development that transforms a neglected industrial and maritime precinct into a layered, mixed-use precinct. 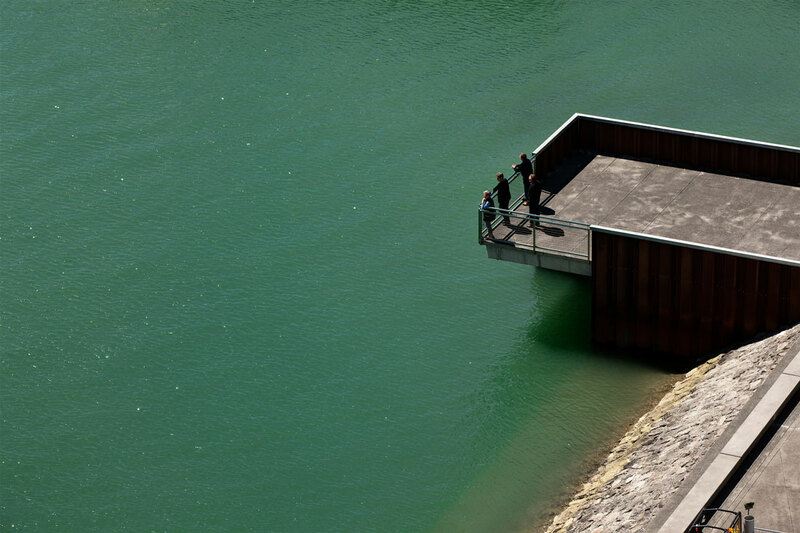 Underpinning the design are two key moves: retaining and enhancing the fishing and maritime industries as the focus of new public experiences; and interpreting the site’s peculiar archaeology of patterns and materiality to inform a new public landscape.